The food blogging community is seriously amazing. I have made some of the best friends who understand me in a way that I would never have thought possible-especially since I haven't met the grand majority of them. But I read their posts and comments and social media posts almost every day, and I really feel that I know these incredible ladies and that they know me! Which is why I love coming together with other bloggers to celebrate when great things happen in the lives of one of our own. 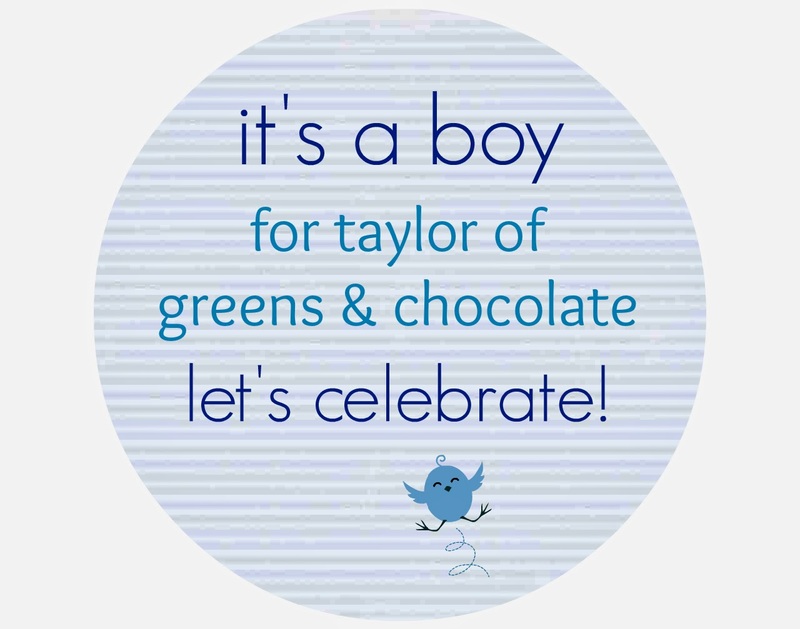 Today is one of those days--we're celebrating Taylor from Greens n' Chocolate as she prepares to welcome her sweet baby boy into the world with a VIRTUAL BABY SHOWER!!! In my experience with showers and get-togethers of most kinds, small bites/appetizers/snacks are a big hit. Things you can just pick up, pop into your mouth, and carry on about your business. 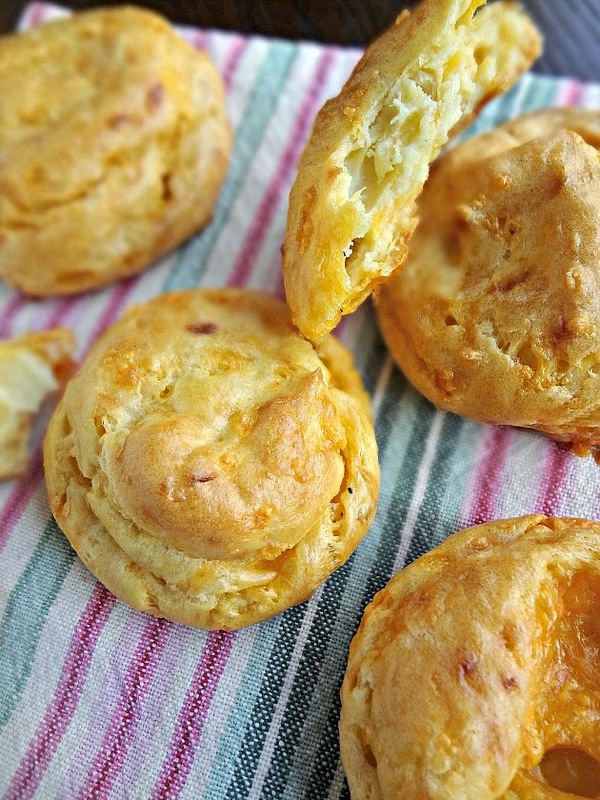 Which is why I decided these gougeres would be a great thing to share for today's baby shower! What's a gougere-you ask? 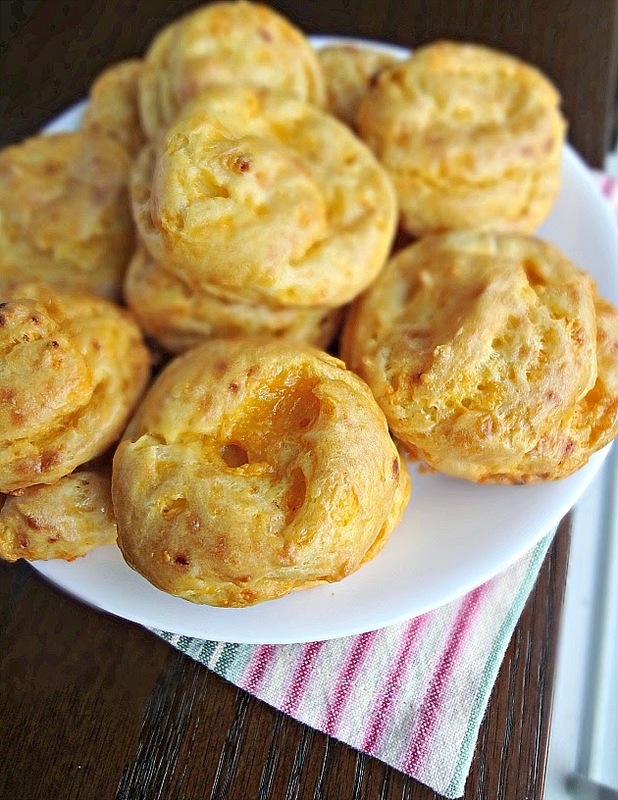 It's pretty much just choux pastry (choux is the same stuff you use to make cream puffs) that's mixed with cheese. And, in this case, some delicious lightly caramelized onions (cooked down method, not the kind where you add sugar and such) are also mixed in. Which makes for the most amazing light, yet chewy, and super flavorful savory treat. I also got to break in my new KitchenAid stand mixer making these beauties (AND use an actual piping tip for the first time), which was insanely exciting for me. Almost as exciting as the way I felt when the smell of the gougeres started wafting from the oven. I seriously couldn't stop eating these. They're sort of irresistible. 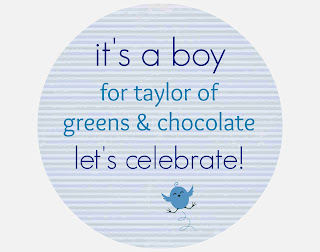 You can't help but love them--sort of like babies :) Taylor-we're so excited for you and the hubs and I know you're going to make an amazing mom, CONGRATULATIONS!!! Check out what Taylor's other friends brought to the party! 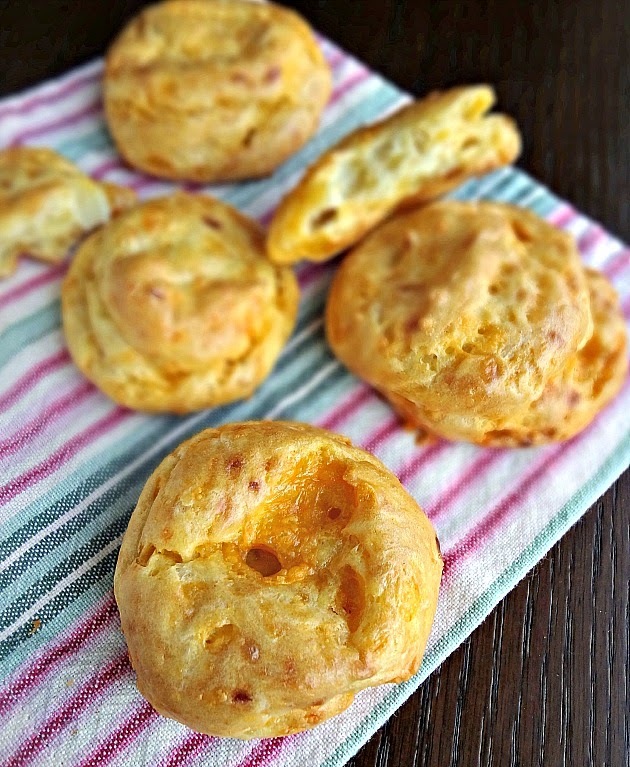 Adapted from Girl Versus Dough's "Caramelized Shallot and Smoked Gruyere Gougeres"
Heat oven to 450F degrees and arrange oven racks in the upper and lower thirds of the oven. Line 2 baking sheets with parchment paper or silicone baking mats. In a medium skillet, over medium-low heat, combine 1 tbsp. butter and the sliced onion and cook, stirring often, until the onions are a crisp golden brown. In a medium saucepan over medium heat combine 6 tbsp. butter, water, salt, and pepper until the butter is melted and it comes to a simmer. Add flour and stir with a wooden spoon or rubber spatula until a ball of dough forms. Transfer the dough to the bowl of a stand mixer fitted with the paddle attachment, stir on medium speed for 1 minute to release steam from the dough. On medium speed beat in 1 egg at a time, not adding another until the last is fully incorporated. It may get clumpy but by the time the final egg is mixed in it will be smooth. 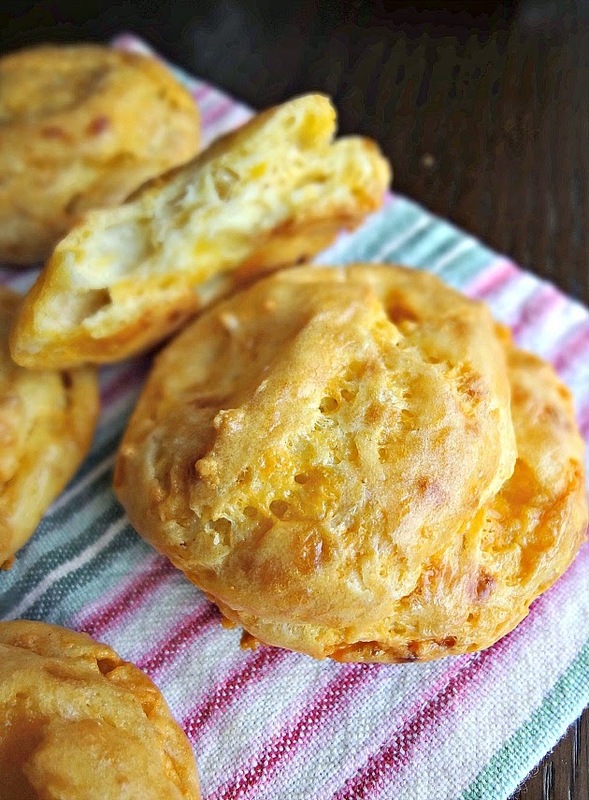 Fold in caramelized onion and grated cheddar cheese. Use a spoon, scoop, or piping bag with a 1/2" round tip to form dollops of batter onto prepared baking sheets. The dollops should be about 1 and 1/2 inches wide and spaced about 1 inch apart. Bake one baking sheet on each rack (in the upper and lower thirds of the oven) and bake for 10 minutes. Serve warm or at room temperature! Store leftovers in an airtight container at room temperature for up to 3 days. I want to make these again and again and again! !